In the first part, Ö?renci explores the use of electricity and sensor technology in public and private spaces, and questions their relationship to body and space. The video series Awaiting the onset of the sense of life shows the bathrooms of two different places: a bar and the Pinakothek der Moderne Museum in Munich. In the videos, people who walk right outside of the bathroom—decorated with mirrors and stainless steel elements—activate the electrical sensor, and so does her body that moves in the tiny, claustrophobic bathroom of the bar. The electricity and the light in the videos become part of the body, similar to cell phones that grow into an extension of our hands. The position of the body makes the electricity and the space visible, while activating its components at the same time. The elements of anxiety, repetition, light and darkness reflect the artist’s state of mind in her “dark” days—that “waiting” period. They also reveal her perception of architecture: The cold surfaces of modern buildings are deprived of the human scale and a sense of life, and the artist’s body that nervously moves around fights against an invisible entity. 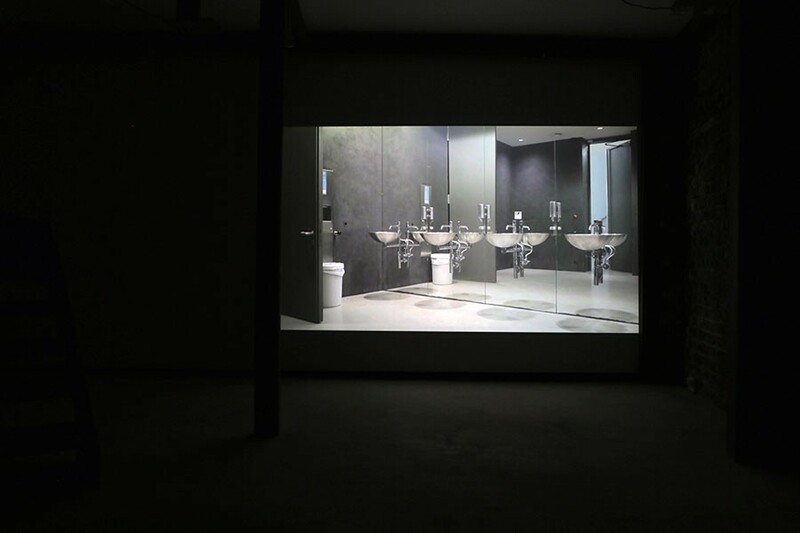 The museum—a recurring element in Ö?renci’s works—becomes the spatial equivalent of the idea of modern institutions, and the bathroom relates to the need for purification. Designated as semi-public spaces, museum bathrooms retain a sense of intimacy, and identify a space between inside and outside. Another work on display is The Light, an installation that departs from her own home in Osmanbey neighborhood in Istanbul. The work consists of a pair of used men’s shoes and a stack of electricity bills that belong to the previous tenant of the apartment—the renowned filmmaker Metin Erksan. Ö?renci starts collecting all of his electricity bills when she moves into the apartment, doesn't change the name in the contract, and the public utility cuts her power off after three years. The installation takes its name from the most basic element of photography and cinema, and takes electricity as inspiration rather than simple a source of energy. The monthly bills then turn into a calendar that implies a process of waiting. In contrast to the rational and functional modern set-up in Awaiting the onset of the sense of life, The Light signals the second part of the exhibition as well as the direction of the artist’s ongoing production.